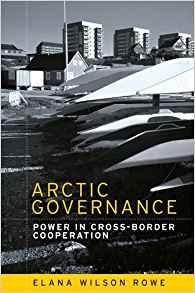 This book seeks to pose and explore a question that sheds light on the contested but largelyl cooperative nature of Arctic governance in the post Cold-War period: how does power matter - and how has it mattered - in shaping cross-border cooperation and diplomacy in the Arctic? Each chapter functions as a window through which power relations in the Arctic are explored. Issues include how representing the Arctic region matters for securing preffered outcomes, how circumpolar cooperation is marked by regional hierarchies and how Arctic governance has become a global social site in its own right, replete with disciplining norms for steering diplomatic behaviour. This book draws upon Russia's role in the Arctic Council as an extended case study and examines how Arctic cross-border governance can be understood as a site of competition over the exercise of authority.